I don't know about you, but November has been insanely busy for me. December isn't looking much better. We homeschool until about 2 or 3 in the afternoon, but my middle son has had a lot of appointments lately that cut in to our school time. After that, it's time to work on my Etsy shop or write blog posts. Then I clean the house, cook dinner, clean again, and finally it's time to relax for a few hours. When it's time to relax, I just want to chill out and forget that the world exists for a while. Since I have my laptop with my all the time, I love that I can watch TV without my TV. I've even taken my laptop to catch up on my favorite shows while my son is at one of his autism therapies. I'm terrible about recording my favorite shows. They also "mysteriously" get deleted, so I am really loving NBC TVEverywhere. I can watch full episodes the day after they are on my laptop. No special equipment needed! Some series even have complete seasons online to watch. 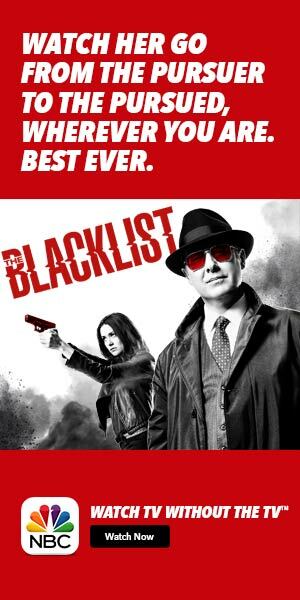 I've been loving The Blacklist lately, but I could never catch it live. Now I can watch it on my laptop during occupational therapy. Happy momma right here! I used to love Heroes when it aired in 2006. 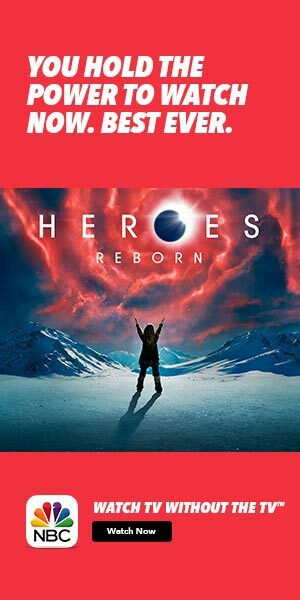 The same writer also wrote Heroes Reborn, which is a 13 episode series about average people who discover that they have extraordinary abilities. You can also watch The Voice, Chicago Fire, Chicago Med, and Chicago PD.